Springfield, MO - Saturday, May 30, 2015, the Greene County Sheriff's Office, Code 3 Sertoma and Missouri Safe and Sober will hosted the "Dare to be Safe and Sober 5K / 10K Run/Walk" at the Greene County Sheriff's Office. Proceeds from this event ibenefit our local D.A.R.E. 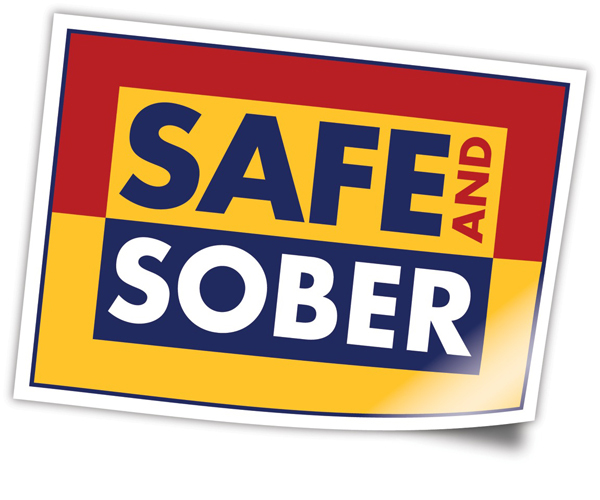 Program and Missouri Safe and Sober. A program designed to educate teens and parents on the dangers of underage drinking and to teach teens the benefits of staying Safe and Sober. Joplin, MO - Saturday, May 23, 2015 was the Armed Forces 5K & Kids Freedom Run. Proceeds from this event benefit the Joplin YMCA Military discount program. Sparta, MO - Saturday, May 16, 2015 was the 1st Annual Soggy Bottom 4 Miler in Sparta, MO. Runners & Walkers experienced beautiful scenery, creek crossings, steep down hills, up hills..this Preview Run had a little bit of everything. After the run, participants had the choice of going back out on the trails for additional mileage or relaxing & enjoying a pancake breakfast. Stockton, MO - Saturday, May 9, 2015 was the 5th Annual Dam Run sponsored by the Stockton Lake Sertoma Club. Proceeds from the event will be evenly distributed to Sertoma Inc., a charitable organization focused on improving hearing health, and Stockton Lake Sertoma, a local Sertoma affiliate with an interest in the youth & community advancement of the Stockton Lake community. Republic, MO - Saturday, May 2nd, 2015, was the 12th Annual MayDay 5K presented by the Republic Parks & Recreation and CoxHealth. Proceeds from this event benefit the Republic Parks & Recreation and CoxHealth Fitness Scholarship Fund. Marionville, MO - Saturday, May 9, 2015 was the 10th Anniversary for Running of the Squirrels 5K, 10K and Fun Run, hosted by the Marionville Band Boosters. Whether you ran the 5K or 10K your registration will help kids pursue their dreams in band. The kiddos thank you very much for your support! Like always, this event goes above and beyond with their white squirrel trophies & medals! After the race, the Boosters held a Drive-A-Thon where runners & community could take a free test drive to help raise money for the Comet Pride Band! Willard, MO - Saturday, April 25, 2015 Ozark Mountain Ridge Runners hosted the 7th Annual FRISCO Railroad Run. With over 500 participants competing in the 8K, Half Marathon, Marathon, 50K, 50K Realy and 50 Miler Run, this year's event was a huge success. This course is on the Historic FRISCO Highline Trail traveling from Willard to Bolivar and back.